Provide comfort for the family of Harvey Scott with a meaningful gesture of sympathy. 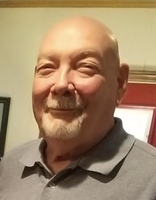 Worley Luginbuel Funeral Home - Grove - 918-786-2261....Harvey W. Scott, 81, transitioned from this earth peacefully Saturday, February 9,2019, in Grove, Oklahoma. Harvey was born December 25, 1937 in Riverton, Kansas where he grew up with his parents, Jack and Lucille Scott, and grandparents Harvey A. and Nellie Scott (now deceased). He married Betty C. (Boyd) Scott on February 7, 1958 in Joplin, Missouri, she survives. They had just celebrated their 61st anniversary two days prior to his passing. He attended Joplin Jr. College, where he met his wife Betty, and Pittsburg State University for architectural design and worked in the field for many years. He worked for NCR for over 10 years selling some of the first computers in the 1960s to the mid-1970s, BF Goodrich, Prestige Coffee, and Harvest Field coffee. A man of many interests. He was known to many people across the 4-state area as “the coffee man”, and he liked being known in that way, he loved people, talking to people, helping people, and an all-around cheerful man who seemed to know someone everywhere he went, no matter where he went. He is survived by his four grown children, Christi Scott Ashe Solis; Jeff Scott (Kirk); Darin Scott (Reina), all living in Topeka, KS and Gregg Scott (Toyna), Diamond, MO. Seven beloved grandchildren; Ryan, Brad, Nick, Jacob, Jaydn, Josh and Jordan; and many wonderful nieces and one nephew, all living across the country. In addition, he is survived by three loving sisters, Jacque Benham (Jim), Carl Junction, MO; Kathy Wyman (Mick), Joplin, Mo; Becky Baker (Bruce), Winter Springs. FL. ; and Mike Scott (Jimme Joy), Rogers, AR. Mike preceded him in death in 2007.
https://www.honoringmemories.com/book-of-memories/3730248/Scott-Harvey/service-details.php for more details as they become available. To send flowers in memory of Harvey William Scott, please visit our Heartfelt Sympathies Store. Provide comfort for the family of Harvey William Scott by sending flowers. So very sorry for your family's loss. Thoughts and Prayers with you all. I have this pit of emptiness in my stomach I've never experienced before after losing you early Saturday morning at your bedside. I imagine that will remain for the rest of my life, reserved for you. The emptiness will fill in, but your love is embedded deep in my heart. My heartfelt condolences. May your memories give you peace and comfort. Sending Love and Prayers for Harvey's family & friends: from Darin, Lakhota, Wyatt, and Angie Conklin. Truly blessed to be able to know & work with Harvey's Son: Jeff Scott: Trustworthy and Honesty; among many of his amazing traits instilled thru family!